PALLET TOWN – It was reported today that, after months of anticipation, Jigglypuff is still anxiously awaiting news about whether it will be included in Super Smash Bros 4. 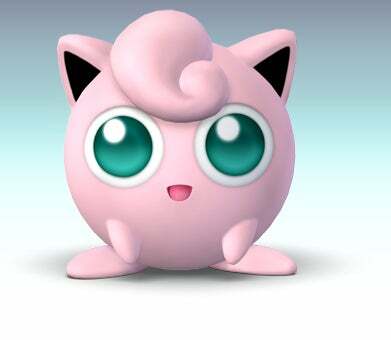 Bearing the special distinction of being one of the original pokémon in the Smash Bros series (alongside perennial roster member Pikachu), Jigglypuff is also one of only two unlockable characters to have appeared in all three prior installments of the hit franchise. It is best known for its powerful Sing attack, which temporarily puts opponents to sleep, leaving them totally vulnerable. As of presstime, local sources reported that Jigglypuff was seen weeping quietly in the arms of its trainer and sadly engorging itself on berries.